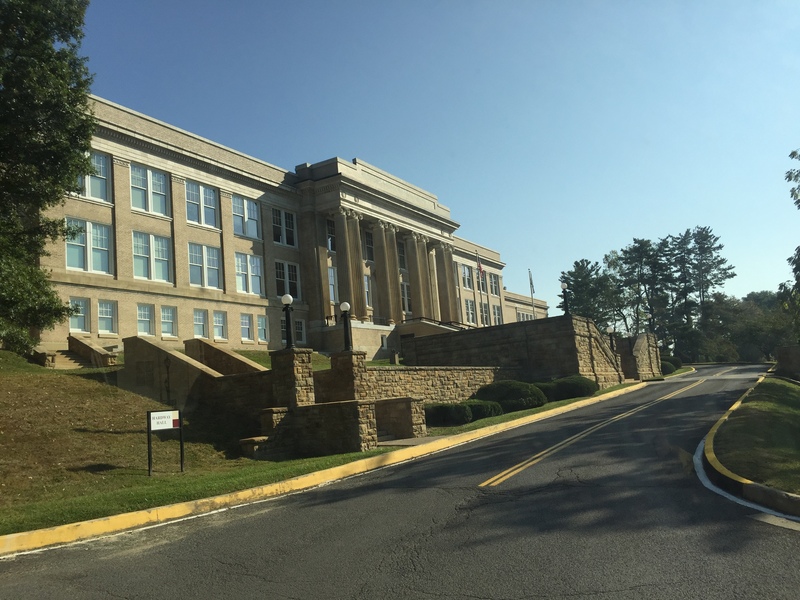 On September 27, 2017, the NCHS seniors took a college trip to Fairmont State University and Pierpont Community and Technical College located in Fairmont, WV. The students toured the campus and later ate at the beautiful Falcon Center. To begin the tour, the students viewed an hour long presentation about the college and the services they offer. The students learned about the 81 programs, the Financial-aid services, and campus life. They were also informed about the organizations, club sports, honor societies, and important dates for the Fall of 2018. The best part was the Falcon Center, the huge three story building that overlooks the West Virginia Mountains and provides a safe environment for all kinds of activities. The ammenities in the Falcon Center include a dining hall, a weight room, gymnasiums, fitness rooms, aquatics, indoor track, locker rooms, and a book store. Overall, it was a great trip for the seniors and helped the students become more informed about their options for college.